This topic has 20 replies, 6 voices, and was last updated 1 year, 3 months ago by mark9mmp. Ok boys. Time to plan our October training day. I’ve got up to five additional from Tulsa expressing an interest in attending. Everybody is OK with weekdays, as long as there’s enough advance notice to take off work. Blackout days for me are Oct 8-9, and Oct 19-23. Is the place near Shawnee to train going to work? If not one guy has 70 acres near Spavinaw we can use. I am good for weekdays. Weekends this month are bad. Ok. So my buddy is leaving the Sheriffs office and so his schedule is currently up in the air. I was hoping to get a date nailed down today but it may be end of the week-ish. I let him know the dates and he’ll get back with me ASAP. 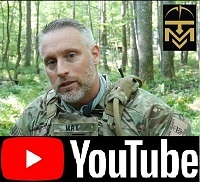 -Mark, is there a ravine or other feature where we could set up a jungle lane course to practice RTR drills, as seen in one of the Max Talk videos? 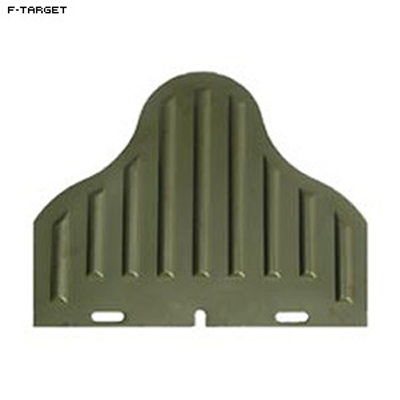 -Mark has 6 steel targets. I was thinking we could use those for the jungle lane, since there won’t be close range firing on those and we avoid the ricochet issue. and rigging some stakes or something to put them in the ground. $6 each, not too bad, and they can be reused. 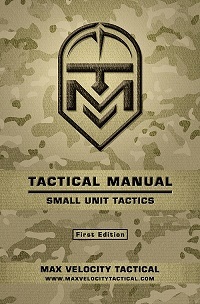 I figure as a training goal for this day, try to get a everybody familiar with weapon handling, RTR, and basic team movements (peel and bound). The next time we meet up, we can move up to some basic maneuvering to a flank for a hasty attack and similar. When we have a core group of people that have that down, we can start moving into force on force with airsoft guns or similar. In short yes. I have two formal ranges set up there. 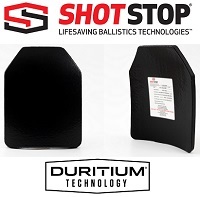 There is a longer 600 meter KD range that runs down a pipeline right of way, which is where the steel targets usually are, and a normal flat range that has an L shaped berm, and paper target stands. Flat range is Approx. 100 meters long by 50-75 wide. The dirt work on the flat range isn’t complete but the berms are usable if you don’t go full retard and aim at the sun. There are a several places a jungle lane would work I think, I’ll need some help with creativity. As far as training goals go I think that’s great. Bump, Oct is starting to fill up. Ok, looks like it is going to be Tuesday, October 17, near Spavinaw, OK. We have 9 people saying they will come, so it should be a good time. Anybody interested jump into the thread or PM. Texoma Timberwolves met up for a day of training this past week. Two have been to MVT Texas and 3 new men showed up for this day. Northeastern OK terrain can be likened to West by God Virginia, ruggedly beautiful. Dave was able to procure a remote location for our training and had set up Ivans ahead of time, deep up a dry creek with steep walls for backstopping. After a safety briefing, including worst case scenario (local EMS location and airevac LZ), basic concepts of running an AR15 were reviewed. We then practiced contact front drills – emphasizing coming up on target, disengaging safety, then firing, engaging the safety, then scanning. Once people felt comfortable dry-firing, live-fire was added. We then added stoppages and how to solve. Most were used to waiting for range commands for reloading. For the remainder of the class, each shooter was expected to reload as needed. We then moved to stationary contact left, right, and rear; first in dry-fire, then adding live-fire. Progressing to individual movement, i.e. walking and having to deal with contact left/right/front (RTR drills), the emphasis on safety showed its importance. The ground was dry creek bed but deceptive as the subsurface was sandy. One student face-planted as footing gave way with his rifle ending muzzle first in the sand. Another student’s footing slipped and he did a roll, muzzle-flashing – however, the safety was on and his finger was off the trigger, a come-to-Jesus moment but drove home the importance of safety. As morning progressed, a jungle lane had been setup and we individually walked it. All of us missed a particular target, the ninja, who in the late morning sun/shadow wasn’t visible. Everyone saw it later in the day as the shadows shifted (that’s bonus information for ya!). Lunch saw us going over medical and concepts of IFAKs, patrol aid kits, individual care, and buddy care. The various types of TQs were discussed and a training TQ was brought out for everyone to practice. The afternoon saw us practicing team movements (2-man), including bound forward, bound rearward, and peels. The last maneuver of the day was a 4-man team working a peel. As the day went on, all of the new guys showed a marked improvement in communication and smoothness during drills. The last item of the day was a debriefing of what was learned. It was reinforced that adhering to the 3 safety rules Max espouses – muzzle discipline, safety always on until ready to fire, and finger off the trigger until ready to fire will go a long way to prevent NDs. ceramic/polyethylene) worked well with Max’s 3X rig. Of the three new guys who attended, one was a long time precision rifle competitor, one a big time Run n Gun competitor, and one was a relatively new shooter. All of them were excited and enthusiastic about the training, and eager to do more. We had 6-8 more guys who wanted to come but couldn’t due to work commitments, so we are working on scheduling a make up day for them. We also have three other possible training areas to develop. Is this group coming to Texas classes? Although I applaud training. I am wary of inexperienced students teaching new guys what they have done at MVT classes. Better to have everyone at least through a class. I have already signed up for the TX classes and I think Dave has also (if not, I know he said he was coming). At least 2 of the people involved expressed interest in them. 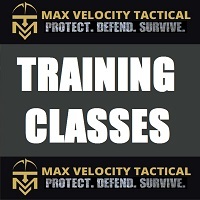 Dave and I were constantly reinforcing MVT and the need to get training from MVT. We were also pushing the forum (“best $25 you’ll spend”). Our goal was never to take the place of MVT but rather introduce local people to MVT concepts and encourage them to train at/with MVT. 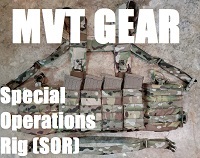 Perhaps I see a new disclaimer packet addition; that class alumni will not attempt to teach MVT teachings to non-MVT alumni, in particular live fire maneuver. I can see so many ways this can go wrong – and at MVT we are experienced trainers with properly set up surveyed, and organized ranges. And the pt standards: I am rewriting the packet to include those: were all your guys fit enough to train? Could they get up and down from kneeling safely? All excellent points – another case of YDKWYDK. In this particular case, yes, all were physically capable of the activities done. For those who may not have been on the forum lately…..
Texas is coming up (Feb 2018). Have you registered?? Made plans to attend?? To train?? You saw a small part of it. Now learn from Max. Who is in this group and which of you are coming to the Texas class. If not, what are your reasons? I had every intention on coming and still do, to a future class. However I’m having knee surgery soon and it ruined any hopes of Texas 2018. The $ and ammo are set aside for a VTC course. I’m bummed because the mobility portion was big aspect of Texas as well as proximity.